The Wise Travellers knew that change was coming, and they wanted to be part of it! A new King was born, and they followed that star to see for themselves. Arriving, they found a child whose birth meant far more than they had ever imagined, for here was God with us – God come to walk and talk, teach and heal and to comfort and feed his people. Why not join the Wise Travellers this Christmas, to explore the transformation that Jesus brings to lives who welcome his friendship. At All Souls this year, we have our very first outdoor ‘carols around the tree’, alongside the fun of the Christingle Service for all ages and then the atmospheric Carols by Candlelight. We experience the expectant buzz of children at the Crib Services and then breathe in the hush of Midnight Communion. Finally, on Christmas Morning, we gather from across our communities and celebrate with joy together. 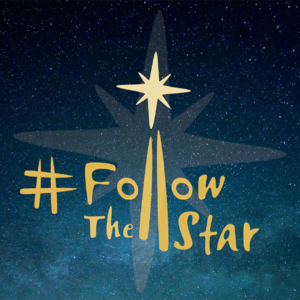 In the uncertain journey towards 2019, why not Follow that Star and celebrate together here in All Souls? …a quiet, reverent and reflective service to bring in Christmas Day. …come in your Christmas jumper (or your PJ’s if you want! ), a joyful and exuberant service of celebration together.